The intriguing details of the VOLATILE™ Dorris wedges are a real conversation starter, simply stunning. 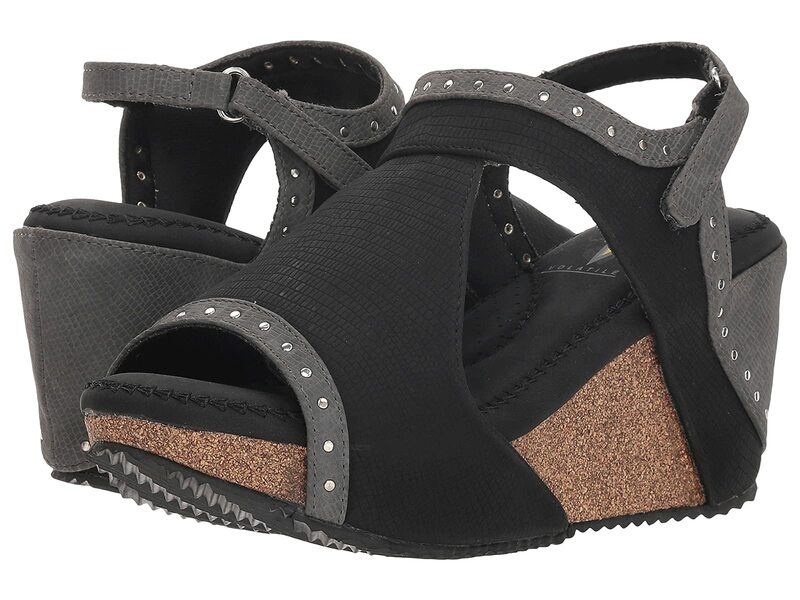 Upper made of man-made material with stud detail. Hook and loop closure at ankle.